Pointed shoes may well be a reoccurring classic when it comes to footwear trends, but on the opposite end of the shape-scale it’s what we’re dubbing the ‘stubbed toe’ that’ll dominate shoe closets (if only we had one…) this year. And, unlike their connative action, they’re not in the slightest bit painful. In fact, they’re entirely the opposite – offering up the sort of peaceful comfort that comes with knowing you look really bloody cool. Square-toed sandals were very much an emerging trend last summer, but by the time SS19 rolls around they’ll be all over your Instagram feeds – mark our words. So how to wear them before they get mainstream (God forbid!) and before the Great (debatable) British weather decides to treat us to something a little more than 3°C? 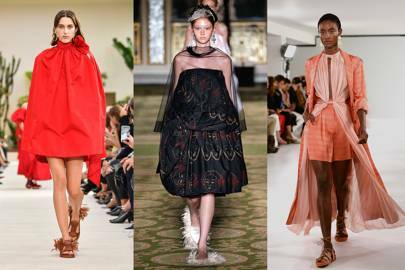 Well, thankfully, the creative brains behind some of our favourite fashion labels have cottoned onto the growing penchant for an angular toe and designed seasonally-approproate pieces accordingly. We’re talking everything from mules to slingbacks, ankle boots to courts – and everything in between. 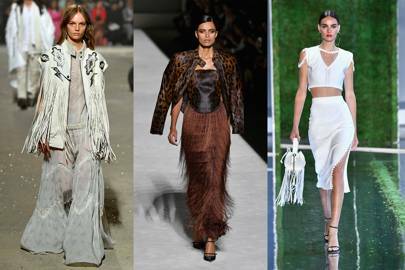 Charlie Chooses: What’s on our Fashion Editor’s high street shopping list this week? So now your footwear game is strong, scroll down to see the other trends to embark on this year to ensure full fashion kudos. You’re welcome. If you so much as glanced at your Instagram feed last summer, you no doubt spotted a Jacquemus La Bomba hat. 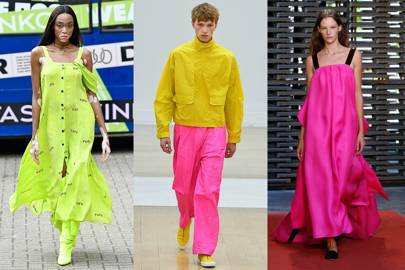 Now entirely synonymous with SS18, it seems brands are vying for similar cult status next season by producing their own delicious incarnations that we already can’t get enough of. Cycling shorts may have stolen the show last year, but – and thank the Lord – next season things are looking a little looser. 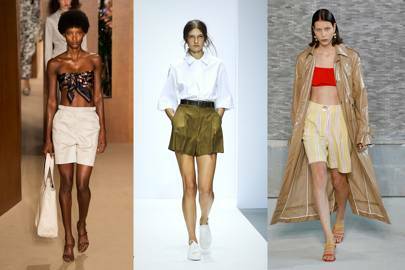 Tailored, micro, knee-length… skirts may be given a few months off as we all look to the more boyish alternative for our new summer go-to. Having had a successful run last year, pleats are back for SS19 but this time they’re a whole lot more intricate. Tighter than before, the micro pleat provides maximum impact as it generates not only more movement but also a more fluctuating silhouette as it expands and contracts. Science-y, eh? I know. 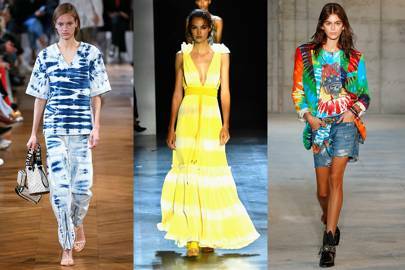 We were all surprised at the recurrence of this 60s print, but alas it seems tie-dye truly is back in fash. Admittedly, 2019’s take on the trend is a hell of a lot chicer. Make like Stella with a no-holds-barred approach and opt for a bold matching two-piece, or – if you’re anything like us – you’ll likely favour a more subtle beach maxi. If last summer’s unpredictable weather taught us anything, it’s that you can never be too prepared. 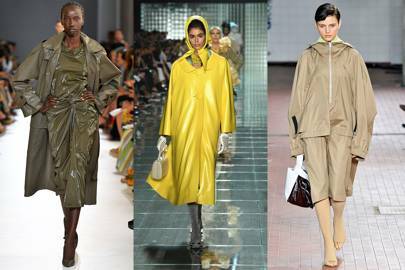 So providing you also carry a bikini, sunglasses and knee-high wellington boots with you at all times, these fair-weather waterproofs should serve you well. 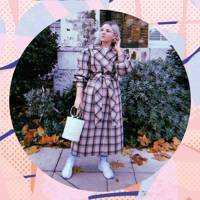 With last autumn’s obsession with the cowboy boot, it was almost inevitable that there would be another Western-inspired trend infiltrating our wardrobes next season. Adorning everything from jackets to skirts via handbags and everything in-between, who knows… maybe we’ll be cutting our hair to fit too. 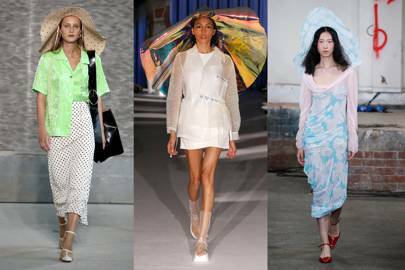 Not one for the faint-hearted, vibrant zesty hues are back with a bang this year after endless seasons of the fashion pack drooling over all things pastel. If you’re feeling extra brave opt for a double-dose à la Jasper Conran. 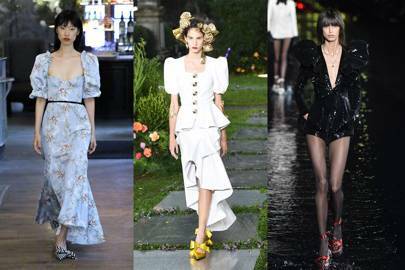 Bold shoulders are no new thing, but rather than padded, boxy numbers, next season’s take is a whole lot puffier. 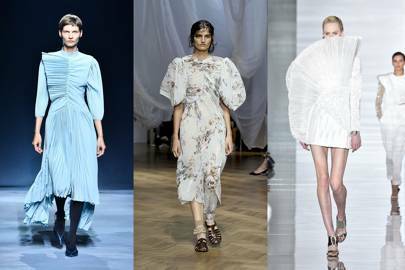 Often gathered at the shoulder with pleats of elastic, they work particularly well with square necklines on feminine dresses. Here’s hoping the weather allows us to forgo a jacket, or that volume could provide a stumbling block. 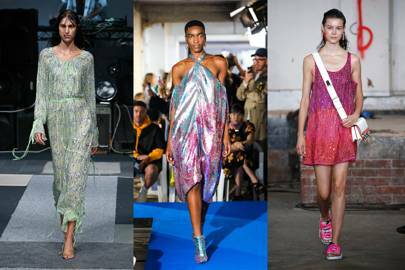 Have sequins ever *not* been on trend? Perhaps not, but they were so prevalent at this month’s shows that we can’t ignore them. Offered up in endless incarnations, opt for a more gently beaded style – like Ashish’s mint green jumpsuit – for a friend’s birthday dinner, before swapping into blindingly glitzy Halpern-like number for your own.